Reklame// Thanks for the positive feedback on my story ? 100% of you want the recipe: so here you go ??? 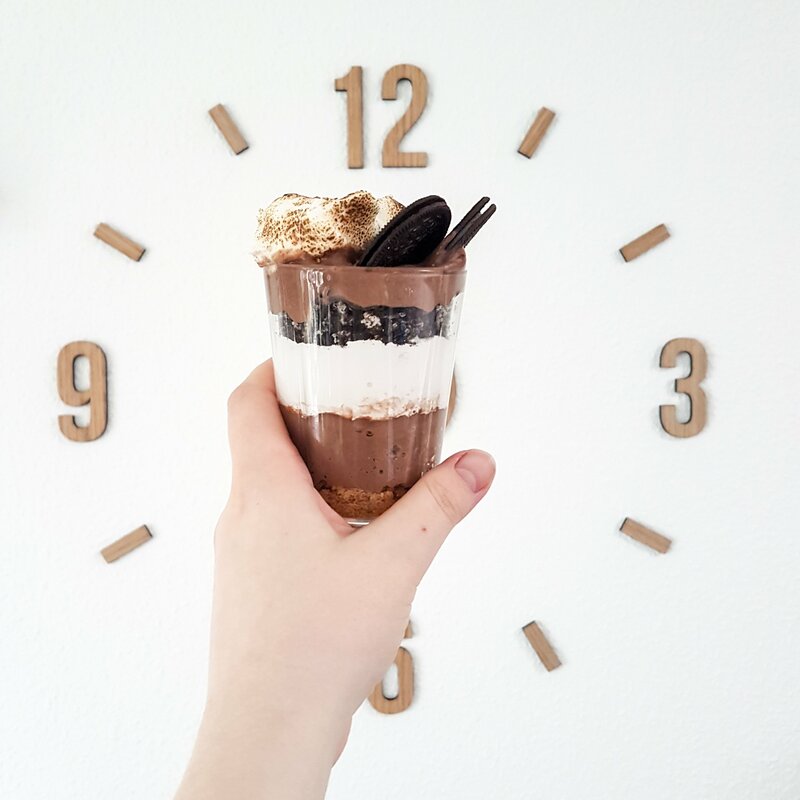 I chose to buy chokolate pudding and use the ready made Marshmallow Fluff from @spreadthefluff – it makes it easier and faster which gives me more quality time with my son ? ?Crush the cracker inside a plastic bag – up to you if you want it chunky or pulverized. Add them to the bottom of the glass. ?Top with half of the chocolate pudding (50grams), press it down with a spoon to remove any gaps. ?Top with marshmallow fluff creme.
? Crush 2 – 3 thin Oreo cookies inside a bag ( I love it crunchy) and sprinkle them on top of the marshmallow fluff creme. 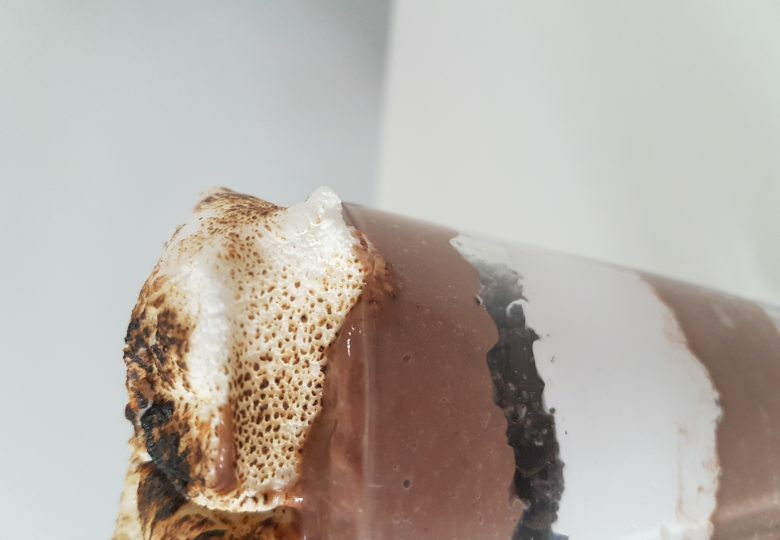 ?Toast your marshmallow over the burner – it is easier to grip with grill tweezers while it melts. Smash the toasted marshmallow on top of the final layer of pudding.
? 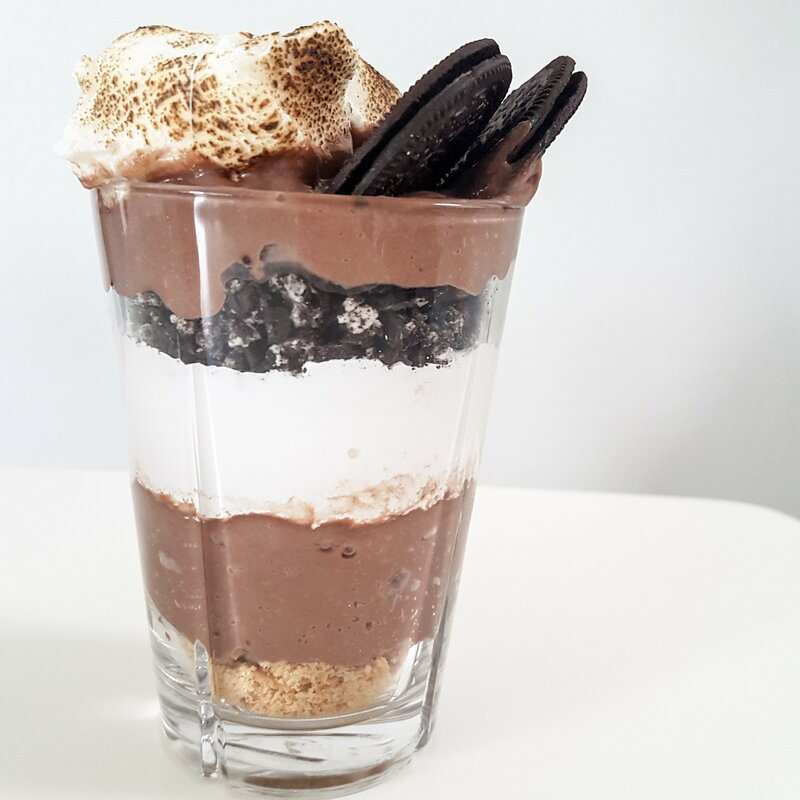 Decorate your pudding with 2 oreo cookies and you are ready to serve immediately ?